Jakarta International Humanitarian & Culture Awards (JIHCA) is calling for submission! Being an international film festival, JIHCA serves not only to filmmakers but also for the betterment of the humanity. A bustling city is a nurturing place for every people, from every profession--if only one gets lucky enough. It is the place that provides a lengthy opportunity for everyone. JIHCA is an international film festival and has integrated with the International Film Festivals consortium festival, who works with the Council of Creative People and International i-Hebat Volunteers. The Festival is searching for excellent films, documentary and narrative films, and looking for people with extraordinary heart who have a deep passion for helping others in need and despair, and one of the method--is through filmmaking. He or she could be anyone and from every part of the world. The Festival mission is to promote humanitarian issues and inspire others through filmmaking and events. Winning person profile will become our showcase based on their CVs. The Festival accepts submissions from any part of the globe and waiting for your excellent short/feature films and documentaries. You can submit yourself, or people you know, living or dead. Send your or his/her CVs to our e-mail: jihcafilmfestival[at]gmail.com and e-mail us for your registration. State your name and your relation to the person you suggest. CV and other supporting documentation or related information like photos, clipping, or films are suggested. Juries consist of a group of notable politicians, filmmakers, seasoned artists, and entrepreneurs will give awards to the selected persons: Humanitarian Man/Woman of the Year, Platinum Award, Gold Award, and Silver Award. We will email you when you are selected, latest on the 8th April 2018. All winners are warmly invited to attend the ceremony. On that occasion, during the ceremony, Jakarta International Humanitarian & Culture Awards will give awards to all attendant winners. We are looking for documentary and narrative films that are related to humanity and equality, or biographies or other inspiring themes. Submit yourself, or people you know, living or dead who concern about humanity. CV and other supporting documentation or related information like photos, clipping, or films are suggested. Documentary film at any length about humanity or biography. Narrative feature film with duration more than 60 minutes (about humanity issue). A short narrative film with film duration <60 minutes about humanity issues. Please read this below TERMS & CONDITIONS carefully before you submit. Be it known to any filmmaker or submitter, by submitting your film/s to the Jakarta International Humanitarian and Culture Awards, you agree to all TERMS AND CONDITIONS below in full. Submitters can submit themselves, or people you know, living or dead. CV and other supporting documentation or related information like photos, clipping, or films are suggested. Our juries may also search information from other sources once we accept the submission. 1. The submitter guarantees that all rights and releases have been legally secured, including music rights, songs, etc. and the submitter releases the Festival and all its member from any legal action whatsoever. 2. A. If nominated, 2 DVD PAL and 1 (one) Blu-ray (optional) or DCP, must be sent. Mark case and DVD, with the title, length, and director's name. Please mark your film with "No Commercial Value - For Cultural Purposes Only" either on the envelope and the shipping invoices. Although every possible care will be taken with DVDs while in our possession, however, we cannot accept responsibility for unforeseen loss, stolen, or damage of entries. Please do not send originals. We do not receive downloads of any kind. B. For general category, you do not need to send the above items (number 2A). 4. All submissions should be sent pre-paid. 5. We will not return your screening and exhibition copies. 7. All selection committees' and juries' decisions are finals. 8. Only producers or directors can receive the physical awards at the award ceremony. 9. Regardless of the Prize and the winning status, winning filmmakers who can't attend the Awards Ceremony in Jakarta, will only receive laurels. 10. The festival has the right to disqualify a winning film for any reasons, without having to explain the reasons to the submitter. 11. Submission of an entry gives the festival permission to have accepted work exhibited, photographed, locally telecast, and reproduced either in part or whole, for educational or publicity purposes. Filmmakers can request in writing that their material should not be used for such purposes after the Festival. 12. We do not pay any screening fees. Not all winning films will be screened. The festival has the full right to select the winning films to be screened. 13. The Festival Directorate may deny participation to any film unable to meet the technical requirements for a public screening of good quality. 14. The Festival Management reserves the right to make changes in the profile of the Festival if it becomes necessary to do so due to circumstances beyond his/her control. 15. All filmmakers/submitters are expected to keep communications with the Festival professional and in good taste. Failure to do so may result in disqualification at any point in the adjudication process, including the nullification of Official Selection status or nominations. That stated, the Festival will only communicate with the person who submitted his/her film to the festival, and that Festival should not be expected to communicate with any other persons. 16. The festival has the right to work with any institution and partner festivals for all kind of cooperation, including joint events or promotions. 17. The Festival reserves the right to make any necessary changes in regulations or scheduling. 18. The submitter/filmmaker also acknowledges that remediation of any sort will be limited to a refund of their submission fees. 19. Films could be from any year. 20. All disputes in respect of any matter relating to the Jakarta International Humanitarian and Culture Awards shall be subjected to the exclusive jurisdiction of the competent courts in North Jakarta. 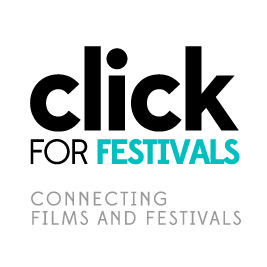 Any dispute arising as a result of submission to the Festival will have a recourse limited to the lesser of either the submission fee paid or the cost of correcting the issue. You can submit your submission through FilmFreeway. 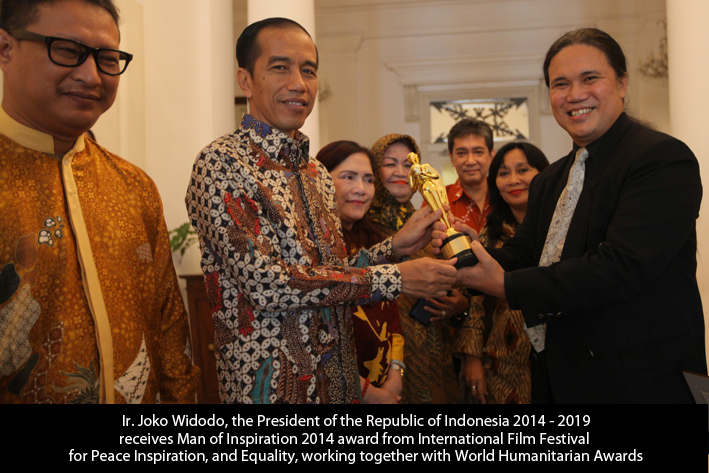 Jakarta International Humanitarian and Culture Awards proudly accepts entries via FilmFreeway.com, the world's best online submissions platform. FilmFreeway offers free HD online screeners, Vimeo and YouTube integration, and more. Click to submit with FilmFreeway. You can submit your submission through Film Festivals Alliance.